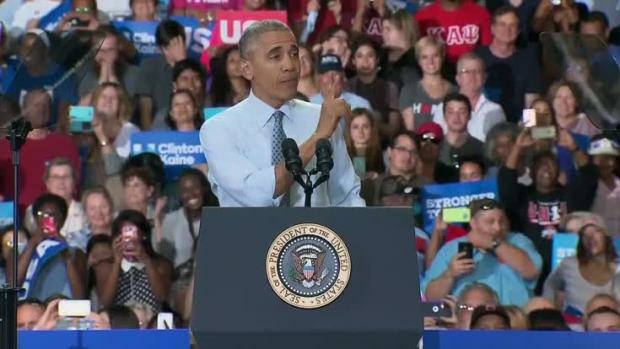 President Barack Obama unloaded on Donald Trump in battleground North Carolina and suggested to voters there that "the republic is at risk" if the GOP nominee makes it to the White House. Obama told the Chapel Hill crowd on Wednesday that Hillary Clinton is "steady ... tough" and well-prepared for the job. He said Clinton's "heart has always been in the right place," while Trump doesn't have the character for the job. The president said Trump has many supporters who see him as "their voice. "But he argued that Trump has never cared about working people. Obama also cited Trump's litany of boorish comments about women, his mockery of Republican Sen. John McCain's status as a war hero and his spat with the family of a Muslim soldier killed in Iraq. Obama also argued for Democratic candidates down ballot. North Carolina is the largest presidential battleground state that also has competitive races for governor and U.S. senator. Obama singled out Democratic Senate nominee Deborah Ross and blasted Republican incumbent Richard Burr. Their matchup will help determine which major party controls the Senate in January. The president blasted Burr for not opposing Trump and told a Chapel Hill audience they don't want a senator who says "yes, sir, Mr. Trump." Obama said a President Clinton will need more Democratic senators like Ross because Republicans are promising gridlock. Burr recently joined other Republicans who said they will block any Supreme Court nominee from Clinton. It's the first of two visits Obama has planned this week to North Carolina. It's one of a handful of states The Associated Press rates as toss-ups in the presidential race. 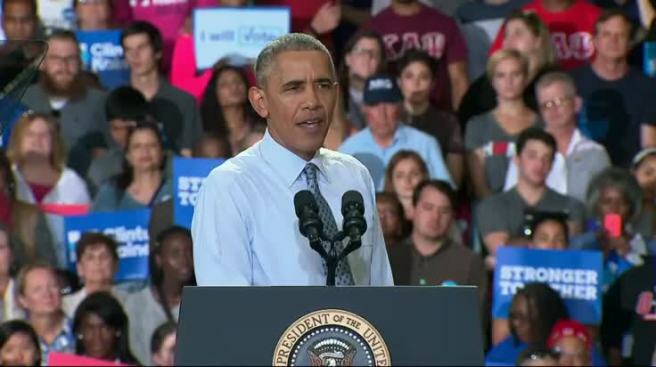 On Friday, the president will headline get-out-the-vote rallies for Clinton in Fayetteville and Charlotte. Obama eked out a win in North Carolina in 2008, but narrowly lost the state four years later. “The reason I’m bringing this up,” Obama said. “If you can find the time to get a free taco, then you can find the time to go vote." 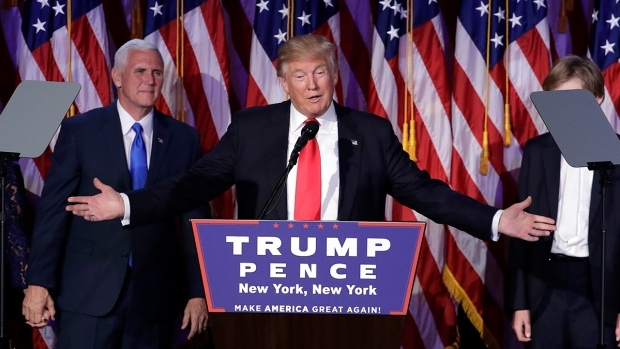 Democrats want to deny Republican presidential nominee Donald Trump a victory in the state next week.